No, our play is boring and predictable and without Naismith Uche is wasted up top on his own. Berra has been a bomb scare for the majority of the games he's played, we can barely keep anyone fit and our one academy player in the first team is not only pish but pish and injured and still getting regular game time. Without MacPhee's set plays where do you think we'd be? How many goals do we score from open play? Seriously, without MacPhee's inventiveness and craft in the set pieces we'd be absolutely fecked because the manager chooses to play one dimensional hoof ball with players out of position and pigeon holed into roles they can't perform in (Clare at RB ffs). I get that you're angry. We all are. I've had nothing but smarmy Hibs gits smirking at me and making pathetic comments all morning in work but ffs man get a bit of perspective. Not a lot of reason from the season lad. Are you for real? We have someone telling us Austin should be promoted up the ranks in the dugout and I am the one talking crap. OK, here is some reason for you, where and when did it become known that Austin is behind our set plays? Utter horse sh*t.
Given that his reputation has been built with Northern Ireland, who are a backs to the wall anti-football side, i will not exactly be filled with optimism if Austin takes the reigns. The fact we are even talking about it like it might happen is what worries me. I’ve always thought he has the whiff of a snake oil salesman about him. "In the way in which he operates, MacPhee is less a football coach and more like an NFL offensive coordinator in such situations"
Key point in that sentence. Learn to read the whole thing in context ffs. Plus, that's the article writer's opinion. If you're taking that as fact then that says more about you than anyone else. You need to take in my whole point, we play for set plays, it's the only bloody time we look like scoring, you want a head coach or assistant that's whole football ideology is based on that aye? Fans like you are exactly the problem just now, happy to sit and watch set plays for 90 mins - "Austin is really good at them", deary ******* me. Even a team as good as England realise how important set-plays are - they must have scored 50% of their goals from corners and free kicks during the World Cup - bu it's not enough to promote Macphee to anything more than his current position. Don't think anyone believes set plays alone are enough to promote him but on a personal level, I think that coupled with how highly regarded he is in football and his contacts as a result of his position at NI makes him a decent enough prospect. Wouldn't be against him taking the reins but also would be happy to see a completely new face and new coaching staff too. I think we need a complete clear out and a fresh look at the squad and their capabilities. I can't think of one reason to keep any of the coaching staff. However, I think many of the players have a lot more to offer with a modern thinking manager, who can instil confidence and will allow players a bit of freedom to express themselves. Christ we really are Donald ducked if MacPhee takes over. Talk about replacing senior crap with junior crap, it's all happening here at Tynecastle folks. I think we have to give him til the end of this SC run. He’s a lucky, lucky man that, unusually, we’ve had the most favourable cup draws we’ve ever had (in both cups) and that has distracted from the disgraceful league run since November. If he doesn’t lead us to this final he should be sacked as soon as the game is over and told to get the train home from Glasgow. We had an easier run in 76 iirc. This time we had to beat Motherwell and Livi in each of the runs. To be fair, the run given to the 1998 team was pretty generous but I’d have been confident against anyone in the second half of that season. There’s plenty of examples of coaches or assistant managers who have been part of an unsuccessful management team who became successful head coaches/managers. In the same way Chelsea were donald ducked when Di Matteo stepped up after Andre Villa-Boas was sacked? In the same way Germany were donald ducked when Low stepped up after Klinnsman was sacked? In the same way Spurs were donald ducked when Martin Jol stepped up after Santini was sacked? The problem is Frank, I think Austin has the same thought process and footballing tactical awareness as Levein. In my view, and to a certain extent, it will be like swapping like for like. I might be proved wrong but you have to consider that he has more or less been schooled by Levein for the last 3 years to a great extent. I also think MacPhee over thinks the game and worries too much about what the opposition are going to do, rather than concentrating on our own strengths. What are you basing these assumptions on? For all we know the changes required to take us from 5th/6th to 3rd/4th may be the changes Austin has in mind if he was given the head coach role. His role with NI is as a Chief Analyst which is the role he should be in with Hearts. The way in which a football team plays is defined on the training field, regardless of who is setting the tactics or picking the team we need to look at the coaching setup to ensure players are better prepared for matches. Half the time our players look like they've not seen a ball from one week to the next, across the team our first touch is poor, we can't pass a ball 2 yards in front of a teammate instead of directly at/ 5 yards behind them, we have zero movement at throw in's and our general play is so predictable it's almost laughable. All of these things should have been addressed in training but after more than a season of the same issues it's clear that they are not and everyone on the coaching staff must be held equally accountable. Well if he's given the gig, we will find out, but I can't say he fills me with confidence. He could do a good job, he could also be yet another time wasting exercise. Id hate to see him driven out myself. We’re edging slowly towards that outcome imo. You sure about that? I thought Austin's role with NI was assistant coach to O'Neill's head coach role. Just checked, the IFA say he's assistant coach, and while he's responsible for opposition analysis, it's part of his job, not his whole job. Jeez, you guys don't deserve a decent manager. If fans concentrated on getting rid of the sectarian scumbags and flare-throwers that seem to be creeping back into Tynecastle, the players' confidence and pride would rise, too. Videos and pics to 07467918874. When confidence is low, players start lumping the ball forward in the air to Uche. He's good enough to make a little bit of that, but CL's tactics would work better if they played on the ground. Little wonder the only clever stuff comes at set plays. We shouldn't get too carried away with easy cup runs. Still think he should step down at the end of the season. May have thought very differently though if we hadn't been hit with crippling injuries to top players and our good form had continued. Happy now to back him to the hilt in our pursuit of another SC triumph. Re of what pans out this season we will be stronger than ever, especially money wise..This for me means we can attract better personnel and no excuses for bottom basement gambles.I also think behind the scenes we will doing just that.Glass half full for me right now with all concerned with Hearts and if CL is still in charge this will be his last chance saloon to put a team on the park that aint eye bleeding at times..
We’ve had a decent season, blighted by injury. Willing to put he faith in CL for another few month unless we see a totally collapse in the last few matches. We have a good squad now. And already added a very good SPFL centre half in Halkett and a potentially excellent Left back if Aidy White can get himself fit. Some excellent players on new contracts. Need to add a little more quality and hopefully tie up Naismith and we will be in very good shape indeed! If and when we do tie up Naismith our next priority must be his replacement! Our record without him in the team is mostly shocking. If he is here next year it’s likely he’ll be injured at some point and I would hate for us to be so dependent on one player again. Who would you have as his replacement? Do you think that replacement will be happy to sit on the bench waiting for Naismith to get injured? I was in the Levein out camp but we’re in the final now and that’s all that matters until the 25th May. Any disruption to that is completely mindless. Get right behind the whole club,if we don’t win then the chatter can begin again but not now. As for the Macphee criticism, he’s doing a great job with set pieces and that’s where he should stay. 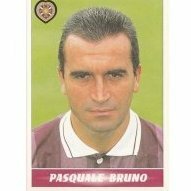 We should retain him in that role if Levein does go. “Have you learned nothing”.. I didn’t realise it was my fault for Cathro and that it was my decision to pick the manager to replace Levein 😂😂😂. I was merely pointing out what I think may happen, which is far far away from what I want to happen (which would involve bringing in an experienced but progressive manager). If you think that was the daftest thing on kickback, you should look at most threads (this isn’t even my daftest in my defence 😁).